“Just today we saw a juvenile humpback whale breach close to shore. 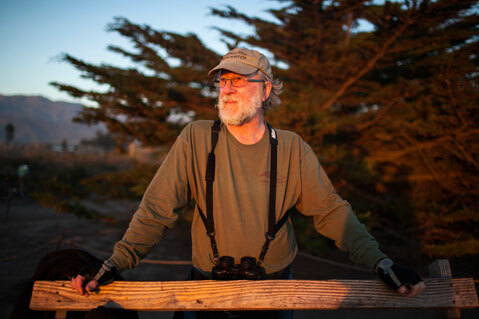 The ocean is filled with extraordinary stuff; when we’re out here all the time, we get to enjoy it,” said Robert Lehmann as he watched over the Carpinteria Seal Sanctuary. Lehmann has been a docent at the sanctuary for five years and enjoys informing people about the seals. During the six months when the beach is closed off due to the birth of Harbor Seal pups, Lehmann and other volunteers deter beachgoers from walking on the beach and disturbing the animals.